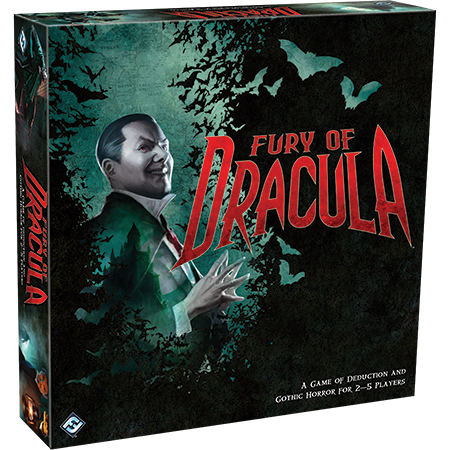 Welcome to the forum for Fury of Dracula. Please, use this space to discuss strategies, play-throughs, characters, fan art, Bram Stoker, whatever you please. Only, you must be respectful of others and use PC language. It's been a long while since my group last played. We took down the count after he had spent most of the game haunting Spain. Will the new edition also have miniatures or change them to cardboard standees? And by the looks of it, they've changed the position where the Dracula player is seated, based on the Dracula's trail card positions/slots seen in this picture. I know it annoyed me that I had to watch everything upside down as the Dracula player, that mini map didn't help me at all. Edit: Granted I was paranoid to give away my position by staring at certain areas on the board. Oh, cool. I've never played the game but I definitely plan on picking this up when it arrives. Fingers crossed that's it's out by Halloween. Dracula on the cover reminds me of the Joker. I really like the thrill you got as you got closer to Dracula. Other than cosmetic changes, anything new or different with this edition? His hands remind me of Mr. Burns ("Excellent"). Will this game have player elimination? Not sure. I don't think we lost anyone last time we played. 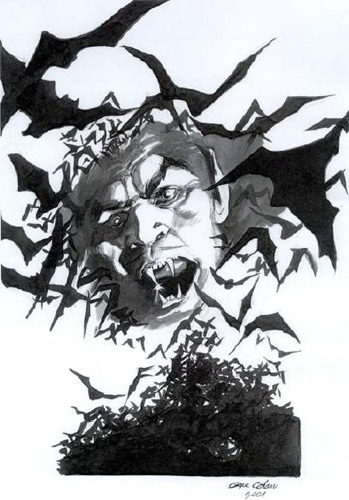 Maybe you can house rule it that any player taken out of the game is to severly wounded to go out and investigate and fight but would still help the group analysing Dracula's plans. So I would let the player remain in the game and contribute and discuss where he/she thinks Dracula is, but without having a "normal" turn. Second edition didn't have any player elimination. "Dying" has a big impact on the game though, you don't actually die, but end up in a hospital. You needed 6 Vampires/points as Dracula in 2nd edition to win the game I believe, and dying gave him 2, so that's a big deal. Also you lose all items/events as a hunter. In other words, try not to die. Does anyone have any insights that this will feature anything new to the game, other than layout, new visual implementation of cards and board ? The map at least seems different. The hospital seems to have disappeared, the Atlantic ocean has changed and the continent is divided in different colour regions. Also, some cities, like Madrid and Rome have an additional symbol. All of the encounters now seem to have an effect for when they mature (wolves can be used in nearby cities, for example), and I'm curious about how the new "Rumors" mechanics work. Encountering a new vampire triggers a fight, now. Some of the hunters also seem to be different. Mina's ability to draw more cards seem to belong to Lord Godalming now, and van Helsing can exchange Events (instead of being capable to make actions after an encounter). The turn structure seems to be the main difference, though. The time wheel shows 14 positions instead of 6, Dracula can move only at night (so, no more day-night or night-only powers) and the hunters only during daytime, they can reserve train tickets instead of moving (and some actions can be taken instead of the movement, too), events are drawn whenever a hunter draws an item (and it seems that it's more dangerous at night, whatever the mechanics for this are)... It looks like the actions you could take in 2nd edition can now only be taken instead of moving. Also, we know only two event cards, but both are changed. Surprising Return affects now Ally Events, and Wild Horses now, by its timing, prevents any encounters in the location it's played on to be revealed. There is only one Ally spot in the board, too. 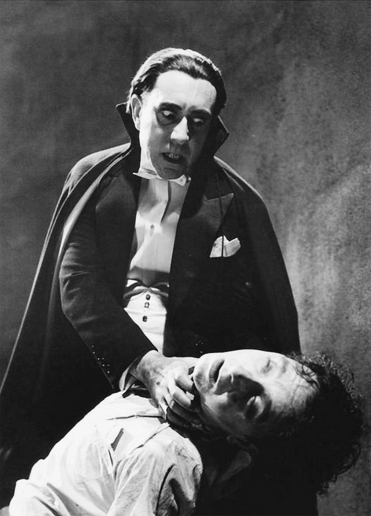 Oh, and Dracula needs to get to 13 vampires. It seems to be easier now: New vampires, for example, give 3 instead of 2. Resolve seems to have disappeared, at least from the board. Combat is now limited to 6 turns, and Dracula now seems somehow more reluctant to flee (?). This is all I could learn from the article. Plenty of changes it seems. Worthy to be bought if the changes are good. If I buy it (when the Spanish edition comes out, hopefully in 2016), I guess I'll give my 2nd edition to a friend or something like that. Maybe I'll wait until I try the new edition to decide which one to give away, though. Meh, I like it. Has a bit of a Hammer Horrror/Castlevania feel to it. Nice use of contrasts I think I actually prefer this one. It does have that certain Hammer Horror vibe to it. Then again, I love those series of films anyway. I'm with Julia on the cover art. 2nd ed. was much better. I'm not saying they had to leave it but c'mon, FFG can do better than that. I have it in Spanish, mainly because I live in Spain. The only game I have in English is Android, because it was never translated. I haven't really been on FFGs site since they cancelled Warhammer:Invasion. Been mad at them. But, all of that is now forgiven with the announcement that FoD is going to come back! I love this game. Played it to death back in the day until our copy was destroyed in a fire. Too expensive to replace. But now! Now I can play this outstanding game again. Thanks FFG. But yeah, the cover art is a bit too campy.